With London house prices reaching vertiginous heights, it’s no surprise that Londoners want to make the most of their homes. Choosing the right home improvements however, can be difficult. At Keepout, we have a wealth of experience working across London and the home counties. As such, we have the local knowledge required to best fulfil our customer’s needs. We install a wide range of windows, doors, and conservatories across the capital. This month our focus is on tilt and turn windows. Their innovative design offers a great alternative to standard casement and sliding sash windows. Here are five reasons why you should consider installing tilt and turn windows at your home. We install tilt and turn windows in either aluminium, uPVC, or timber. The choice you make will depend on your tastes and the style of your property. 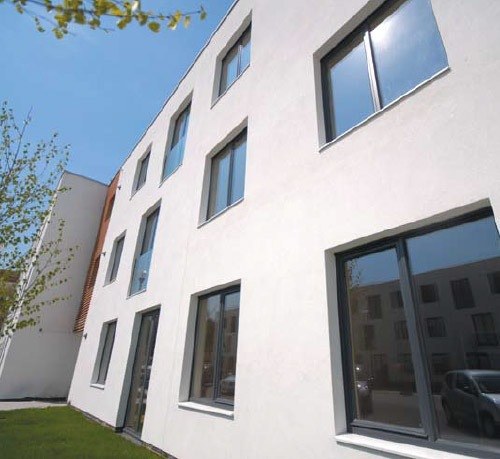 For modern apartment blocks and commercial buildings choose aluminium, for a contemporary architectural look. For period properties, timber helps to retain their classic character. For cost effective, high performance; uPVC is for you. Tilt and turn windows can achieve Secured by Design accreditation for their security specifications. They incorporate a single sash tilting opening for child safety and can also open wide to create a fire exit. With optional safety glass, your home will be safe inside and out. Their versatile design makes them perfect for all situations. They can incorporate your choice of hardware to perfectly complement your home’s style. Their two-way opening action makes them great for ventilation and for easy cleaning access. All our tilt and turn windows are fitted with energy efficient glazing as standard. With high quality insulated frames, they are sure to keep your home warm in winter and cool in summer, significantly reducing your home’s heating bills. No matter what type of property you call home, tilt and turn windows are an excellent choice. Their attractive aesthetic will enhance the appeal of any home. For high rise buildings, they provide easy cleaning access and safety restrictions. For older properties, their excellent ventilation capacity reduces problems with damp and mould. For a standard semi or terraced property, they give a unique look to your home’s appearance. 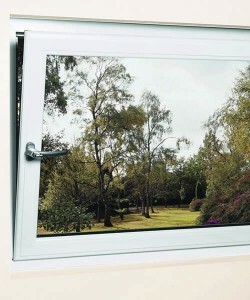 For more information on our range of tilt and turn windows, contact Keepout today. Call us on 020 3322 8700 or send us a message online.